Hello Old MacDonald! Learn all about the fun of the farm with Le Toy Van Wooden Barnyard. 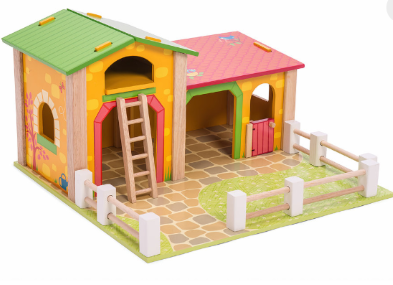 Colourful farm play set includes barn with hay loft, cow shed and stable on a baseboard. Brilliant toy farm set for children’s imaginative play. 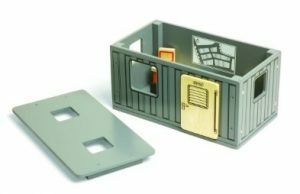 Encourages imaginative play. Meanwhile children learn about life on the farm. Watch out Old MacDonald! Colourful wooden toy farm is scaled to match the Le Toy Van Farmyard, Budkins farmers set and Sunny farm animals. All available seperately.